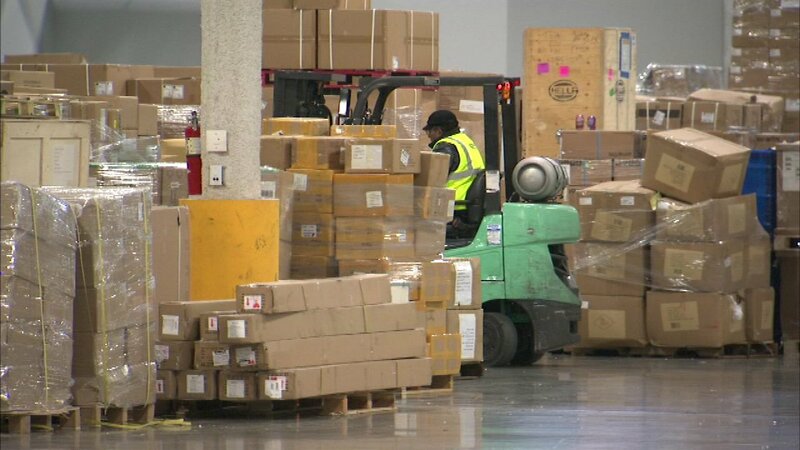 CHICAGO (WLS) -- O'Hare International Airport showed off Wednesday the newly opened, first phase of a more than $220 million Northeast Cargo Center. The new facility both expands operations and makes them more efficient. The building is also LEED certified. When the second and third phases of project begin, the new facility will include new warehouse and office space as well as more space for cargo jets.